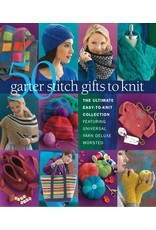 SP 50 Garter Stitch Gifts To Knit - Crochet Stores Inc. Even novice knitters can handle the garter stitch—one of the simplest to master. And these easy projects are so charming and versatile that they'll gratify beginners and satisfy experienced knitters alike. 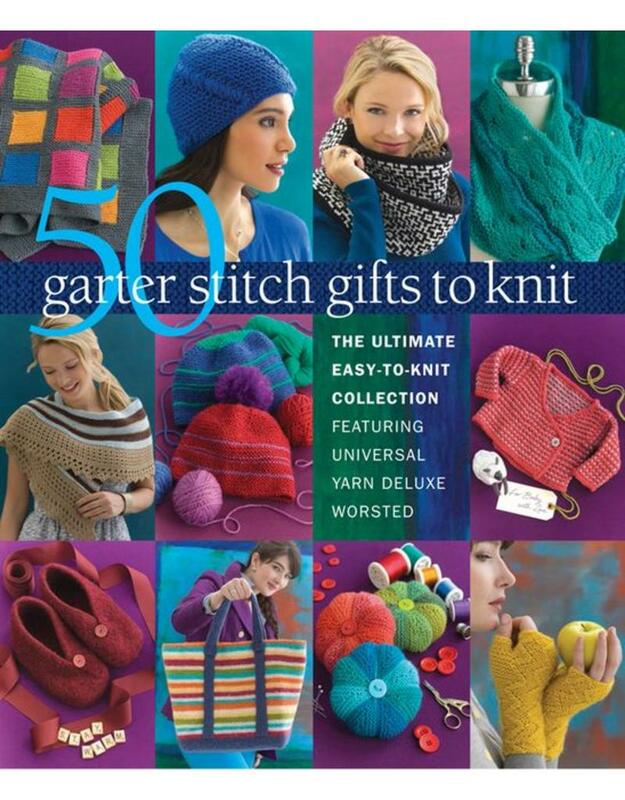 Choose from 50 items, including hats, pullovers, cowls, home goods, a layette, blankets, and more. Each pretty gift uses the popular and affordable Deluxe Worsted, made of 100% wool and with a palette of more than 200 colors, from Universal Yarn.